Every two years the Retina Society awards the Custodis Lecture to a renowned researcher in honor of his life’s work with which he has made an outstanding contribution to matters relating to retinal diseases. This year’s Custodis Lecture will be awarded to Associate Professor Dr. Klaus-Dieter Lemmen, Senior Consultant at St. Martinus Hospital in Düsseldorf. Klaus-Dieter Lemmen receives the award for his clinical and scientific research on diabetic retinopathy and his collaboration on developing guidelines. By nominating Klaus-Dieter Lemmen the board of the Retina Society honors a highly qualified retinal surgeon who has made the Eye Clinic at St. Martinus Hospital in Düsseldorf a widely known address when it comes to questions regarding the treatment of retinal diseases. In his lecture titled “Diabetic Retinopathy at the interface between basic research and quality of care” Klaus-Dieter Lemmen will be dealing with the challenge of introducing new aspects of pathogenesis and the treatment of diabetic retinopathy in an optimized patient care. The Custodis Lecture will be given on Saturday, September 27, 2014 during the Symposium of the Retinologische Gesellschaft between 2.30 and 4.00 p.m. 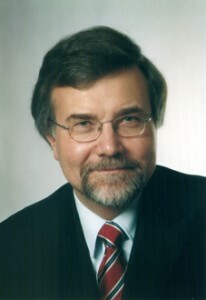 The eulogy will be given by Professor Dr. Daniel Pauleikhoff (Münster). 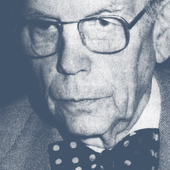 The Lecture is named after Ernst Custodis (1898-1990). Custodis was a pioneer in the field of retinal surgery when he showed that a closure of retinal breaks by sealing can cure retinal detachment.